It has been a while since I have last sat at the computer to post to the blog. I apologize for my delay; however, I cannot say I am sorry for the reasons I have been away. God has been working things in and out of my life. Working out the bad and working in the good. For the most part. When I cooperate. And, this has kept me busy. We are still in our RV. Can you believe we are approaching one year! Don’t despair. We are seeing an end to travel-trailer-living in the near future. And I am still following the Lord into Guatemala. (About every three to four months). In fact, our family of four just returned from that beautiful country in Central America. Each trip seems to change me. I would love to think a difference is being made there by my visits; however, it is clear God is using my time spent in an underdeveloped country to change Cristal. Today, I was reminded of the joy expressed by the children living in the orphanage. Yet, the children seem unbothered. Expressions of joy dawn randomly on their young faces. Even picturing their smiles now brings a grin to my own. And I realize joy exists within. Even when I don’t feel its presence. Joy lives in my soul as God dwells in my life. 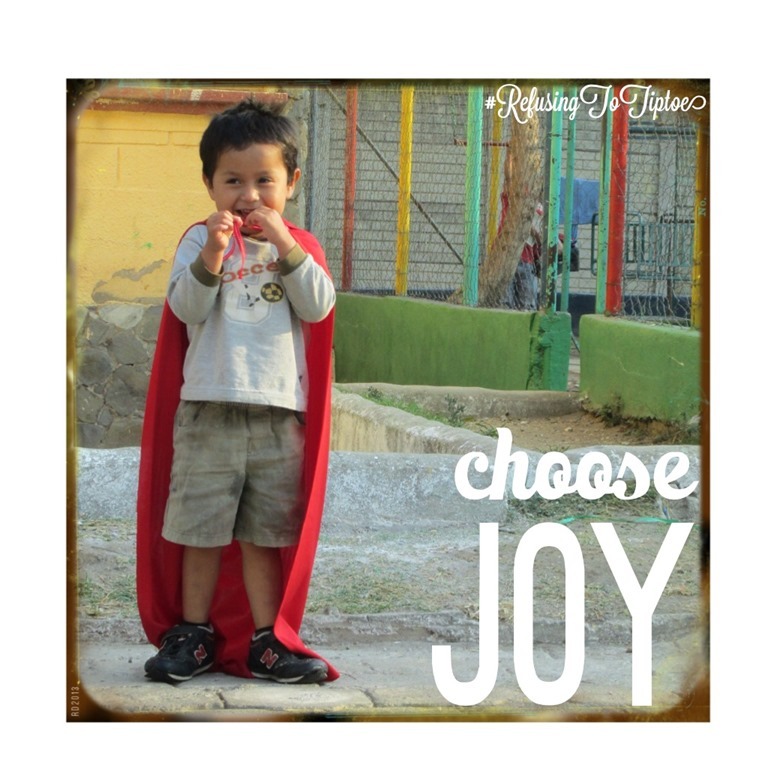 So, if orphans living in third-world conditions can choose joy, why can’t we? This entry was posted in Thanks Living and tagged Eucharisteo, Grace, Gratitude, Guatemala, Orphans, Thanksgiving. Bookmark the permalink. Hi Cristal, nice to hear from you! And thanks for the good word that joy has very little, really nothing at all, to do with stuff. “Joy lives in my soul as God dwells In my life.” Yep. Thank you, Judy. Great to hear from you. I hope you are doing well and are continuing to be used by the Lord through your insightful blog posts. Thank you! I hope you all are doing well and that your ministry is continuing to prosper! A daily choice, right? But, one we’ll never regret. And, yes traveling with God is certainly bringing tremendous blessings!